The comedian Jerry Seinfeld observes that the older we get, the more we turn back into children. He specifically says our last birthday is a lot like our first: we need help blowing out the candles, we don't entirely know what's going on, and we don't recognize everyone who is in attendance at the party. While this is simultaneously sad and humorous, it helps us reflect on the fact that when we get old, we do become dependent on others for our healthcare and daily living. In fact, there are a variety of circumstances throughout our lives that make us depend on those healthcare medical professionals. The medical field is for those who have both a deeply sympathetic heart and a knowledgeable head. 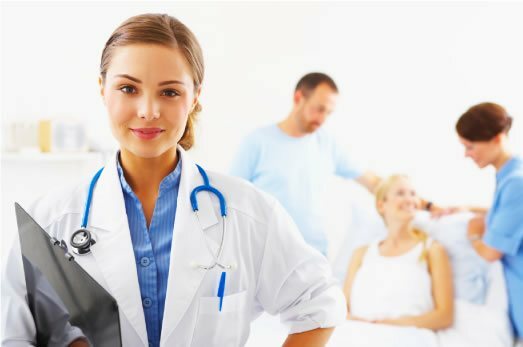 If you possess compassion and have the drive to work in the medical field, you are the perfect person to obtain an Associate's Degree for health, healthcare, and nursing. When you do, you'll see how many different people are dependent on your expertise, and you'll finally be in a position to help them. There's such a wide array of career options in the healthcare field that one of the most challenging aspects of it is just choosing where exactly to start. Offices, hospitals, homes, and all kinds of places need specialized individuals who can competently work with patients and a team of medical professionals. A healthcare or nursing degree is the first step to getting yourself into the field where using the latest technology to help people with complex problems is an everyday miracle. Programs focus on healthcare essentials such as patient care, medical ethics, biology and chemistry, modern medicine, and administration. By acquiring knowledge of these particular areas of care, you will possess the information needed to make you a qualified healthcare provider. There are too many career options to really list, but some of the common categories that these options fall under include clinical health sciences, healthcare administration, nursing, public health, and informatics. Clinical health sciences focuses on the research, medications, techniques, and analysis needed to fuel the healthcare system with the solutions it needs for today's problems. Particular issues that will have an influential presence include the aging of the U.S. population and obesity, which altogether affect nearly three quarters of the country. In a similar behind-the-scenes manner, the field of healthcare administration consists of individuals who run the departments inside of medical groups and hospitals that make sure the doctors and patients have everything they need. From finances to billing to marketing to research to inventory to everything else, healthcare administration is the organizational structure of leadership that guides what solutions patients are able to receive. Nursing is another popular field that requires caring individuals who can take care of patients' needs in hospitals and doctors' offices. Nurses are often the first and most familiar face a patient sees, and is the ground-level troop who monitors patients. Those with the public health side of healthcare work in promoting disease prevention, working with media, and general improvement of health practices by promoting knowledge and habits in communities. Acquiring your Associate's Degree in the healthcare field opens up the door to many different career opportunities. You will develop the skills and earn the knowledge that enables you to help so many different patients at so many different organizations. Whether working behind the scenes in office departments and administrative services, or serving patients directly as a technician or nurse, your contributions to the medical field will be highly cherished by those whom you assist. As our population continues to change, so too do our approaches to healthcare solutions, and soon you will play an integral part in this field.